the fall. 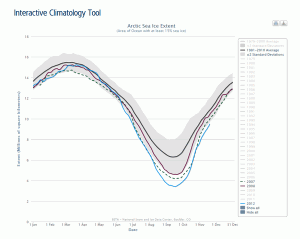 By February 28, ice extent had reached its annual maximum. While ice older than two years reached record lows, the fraction of second-year sea ice increased compared to last winter. 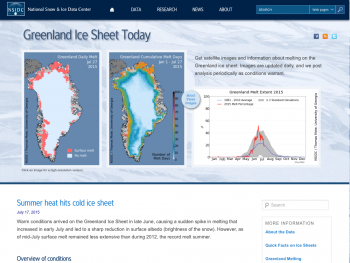 Some of this second-year ice will survive the summer melt season to replenish the Arctic’s store of older ice; however, in recent years less young ice has made it through the summer. To restore the amount of older ice to pre-2000 levels, large amounts of this young ice would need to endure through summer for several years in a row.